Since the beginning of the last decade, it is seen that the concept of VoIP services and solutions is not a vague and a new concept to the internet users in India. VoIP has a very interesting outlook in the Indian context. It grabbed the attention of the Indian market way back in 1999 and was termed as internet telephony back then. However, the need for VoIP services at that point of time was not given utmost importance and hence it made no spot in the IT Act, 2000. Few years later in 2008, it was reported that the Telecom Regulatory Authority of India (TRAI) had approved of VoIP in India and in 2012 it has been made part of the Unified License under the National Telecom policy. As per reports, it can be seen that, most VoIP service providers in India have squarely focused on the commercial domain as it is apparently considered to be a bigger and a more mature market as compared to the consumer domain. 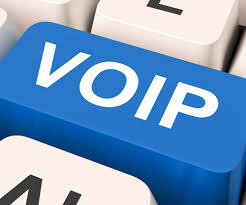 Another factor that makes the business or commercial domain a preferred choice for VoIP service providers in India is that it is easier in the business market to provide internet-only voice services as they don't violate India regulations by crossing over from the internet onto the regular phone network (PSTN) - or vice versa. While looking into the consumer domain in India, it can be seen that the Indian market for home or consumer VoIP service providers is less developed in comparison to countries like the U.S, UK and Germany. As of now, the number of VoIP service providers in India that offer VoIP solutions to the Indian consumer market is quite small but it should be noted that there are a few international VoIP service providers who offer the . The factors that hamper the growth of consumer VoIP services in India are telecom regulations that prohibit the crossover of voice calls from regular phone networks (PSTN) to VoIP networks on the internet (and vice versa). In the business market, these limitations have been less of an obstacle because most companies are on broadband connections. As a result, it is fairly easy to create VoIP-only connections between them for voice calls. Consumers are somewhat less internet-ready and also heavy users of mobile phones - so being able to cross over from one network to the other is more limiting. Without the ability to cross over from one network to another, the only types of VoIP NLD calls that can be made are therefore ones that both originate and terminate on VoIP devices. Since there are several types of devices that can be VoIP-enabled, including PCs, smartphones, and VoIP digital phones, it is possible to make a lot of VoIP NLD calls. VoIP calls for domestic long distance is somewhat restricted because voice calls are not permitted to cross from the regular phone network over to the internet or vice versa. Below are the various types of possible NLD call types and whether or not they are allowed in India. VoIP voice call originates and terminates on VoIP-enabled device. Voice call originates on a regular India landline or mobile phone, but terminates on a VoIP-enabled device. 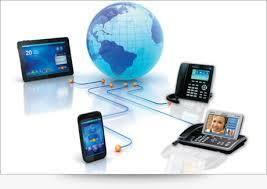 VoIP call originates on a VoIP-enabled device, but terminates on a regular India landline or mobile phone.